- Ordinary Days: 11 am and 2 pm. ※ It is a Holy Ground pilgrimage so that only members can board it. The HyoJeong Marina located next to HyoJeong Café was sanctified by True Parents during the dedication ceremony of HyoJeong Café. 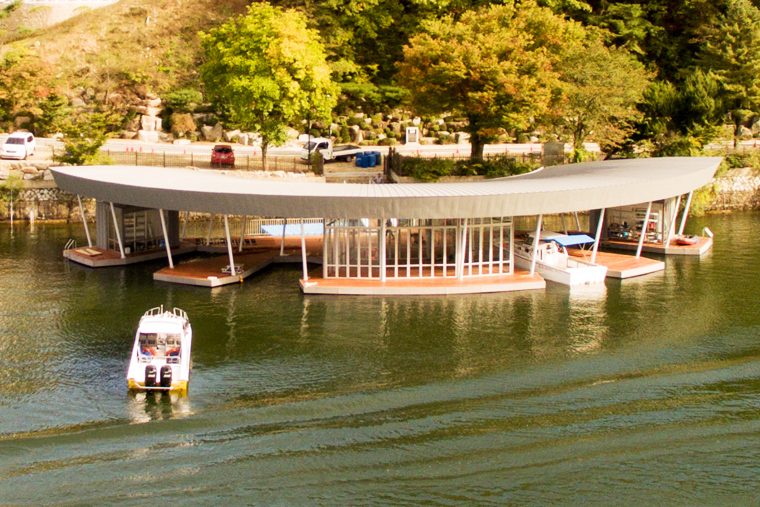 Located in front of True Parents’ room at the Original Sanctuary, HyoJeong Marina was newly constructed above the same old dock. If one enters the HyoJeong Marina, one can take a look at the newly purchased HyoJeong I Boat. A 25-seater (excluding the driver’s seat), HyoJeong I Boat boasts two Mercury 250-horsepower engines that totals 500 horsepower, and 40 knots (about 74 km/h) when fully loaded. 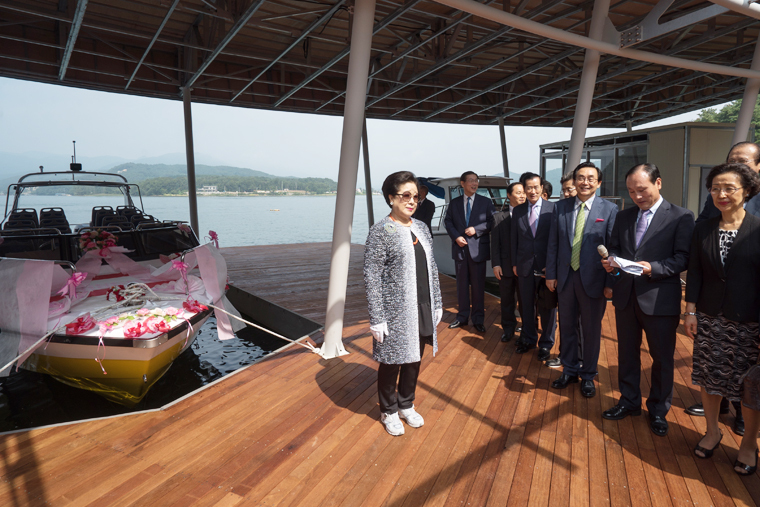 HyoJeong I Boat can be reserved by churches which will allow people to take a pilgrimage across Cheonshim Lake and experience True Parents’ heart of devotion as they fished and led the ocean providence.